A nice gift wrapping project always needs a perfect ribbon bow to top it. Here at Drency we’re all about trying new ways to achieve beautiful ribbon bows and sharing them with you. 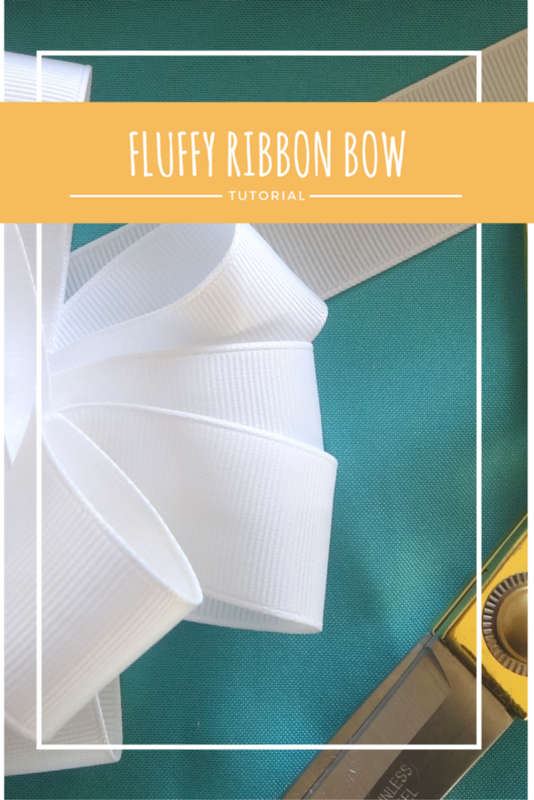 Today, we’re showing you how to make in some easy steps a classical fluffy ribbon bow. Our Double Face 1 Inch Grosgrain Ribbon. 50 Yards. We’re using it in white. First, you’ll cut two sections of ribbon, one for framing your gift or just enhancing your bow (circa 20 inches) and a long one, long enough to make at least four 12 inches long loops. Then you make your loops of ribbon and align them well. After that, you fold all the ribbon at the half, to form some kind of a heart shape. Then, you make 2 diagonal cuts, and when you unfold your heart shape stage, you’ll see already the form of a bow. Right in the middle, you’ll tie firmly with your wire. And then, the stellar part of this project: you take each loop and spin it twice to make your bow a fluffy one. Do you like this kind of bows? Do you feel like sharing your outcome with us here at Drency? We could highlight your creations in our Pinterest account if you send us some pics. Keep enjoying your ribbon crafts and stay here with us to share more awesome tutorials and crafting ideas.